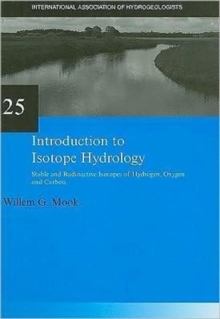 Climate change is expected to modify the hydrological cycle and affect freshwater resources. Groundwater is a critical source of fresh drinking water for almost half of the world's population and it also supplies irrigated agriculture. Groundwater is also important in sustaining streams, lakes, wetlands, and associated ecosystems. But despite this, knowledge about the impact of climate change on groundwater quantity and quality is limited. Direct impacts of climate change on natural processes (groundwater recharge, discharge, storage, saltwater intrusion, biogeochemical reactions, chemical fate and transport) may be exacerbated by human activities (indirect impacts). 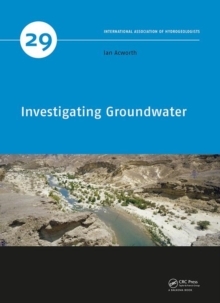 Increased groundwater abstraction, for example, may be needed in areas with unsustainable or contaminated surface water resources caused by droughts and floods. Climate change effects on groundwater resources are, therefore, closely linked to other global change drivers, including population growth, urbanization and land-use change, coupled with other socio-economic and political trends. Groundwater response to global changes is a complex function that depends on climate change and variability, topography, aquifer characteristics, vegetation dynamics, and human activities. 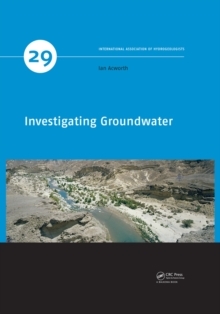 This volume contains case studies from diverse aquifer systems, scientific methods, and climatic settings that have been conducted globally under the framework of the UNESCO-IHP project Groundwater Resources Assessment under the Pressures of Humanity and Climate Change (GRAPHIC). 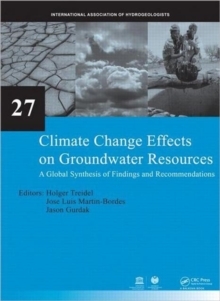 This book presents a current and global synthesis of scientific findings and policy recommendations for scientists, water managers and policy makers towards adaptive management of groundwater sustainability under future climate change and variability.